Was born in 1994, in Norilsk. She graduated the Children's Arts School of Norilsk (Class of Nikolay Afendikov). Graduated from the Academic Music College under the Tchaikovsky Moscow State Conservatory (Class of Honored Artist of the Russia, professor Alexey Volkov). Student of the Ippolitov-Ivanov State Music and Pedagogical Institute, class of the same teacher. 2008 - winner of the Grand Prix at the Inter-Regional Competition of Young Performers "Norilsk Hope" (Norilsk). 2009 - winner of the Grand Prix at the Krasnoyarsk Inter-Regional Competition of Young Performers named after Tulunina (Krasnoyarsk). 2010 - winner of the Grand Prix at the Moscow Open Competition of Saxophone Players "Selmer to Children" (Moscow). 2013 - winner of the Dmytro Bida International Competition of Performers on Wind Instruments (Ukraine). 2013 - laureate of the III Prize at the Rimsky-Korsakov International Competition as part of Saxophone Quartet «Ad Libitum» (St. Petersburg). 2015 - laureate of the III Prize at the International Competition of Saxophone Quartets (Strasbourg, France). 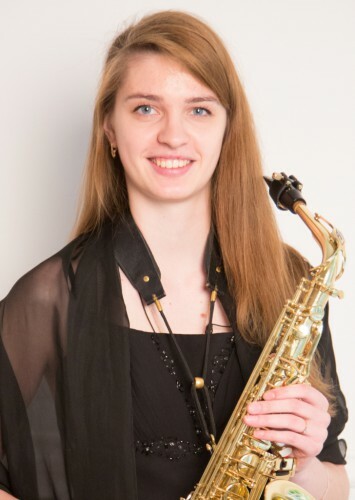 2017 - laureate of the II prize in the International Competition of saxophonists in Lubeck (Germany), International competition "Crimean spring - 2017" (Yalta). Winner of the VI International competition "Siberian Musical Assemblies" (Novosibirsk). Fellow of Mikhail Prokhorov Fund "Way to Talents" and the Yuri Rozum International Charitable Fund.